She has been teaching yoga for almost 20 years, developing from a British Wheel of Yoga Hatha Teacher Training foundation, to Astanga Vinyasa Yoga; practising in mid 90’s under Derek Ireland (see Vimeo.com: Ashtanga Vinyasa Yoga Practice, Agios Pavlos, Crete, Teacher Training in Goa and Mysore (1995). Liz adapts yoga postures for each individual in order to ‘chisel' into the form and helps sculpt and free each unique body. A member of Yoga Alliance USA and British Wheel of Yoga, she is also a board member for The Life Centre Teachers Training Course, and runs retreats and workshops nationally and internationally. Originally trained as an Artist, Liz has BA and MA degrees in 3D Design aqnd Performing Arts, with a central theme of The Body, Liz draws her inspiration from Nature, the Body, Poetry, Music and contemporary Bodywork. She now fuses Yoga as Art in a series of Mandala Drawings, illustrating sequencing, layered with motifs for visualisation, contemplation and mudra (gesture) and mantra (heartsong). Her teaching draws on these inspirations, with a contemporary interpretation of philosophy (see her book: ‘1001 Pearls of Yoga Wisdom’). 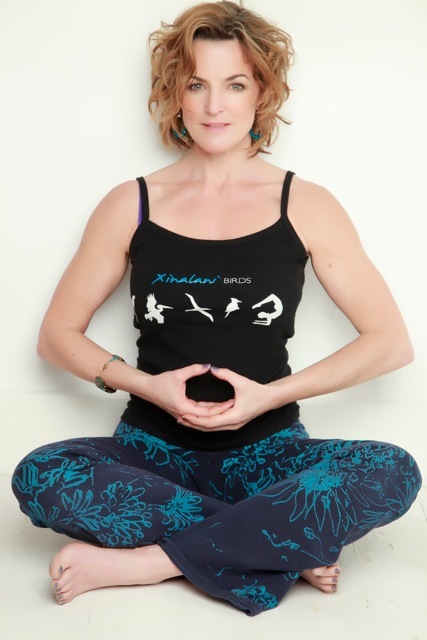 Based in East Sussex, Liz runs classes and special workshops in Tunbridge Wells (www.pantilesyoga.co.uk). Clients have included Conductor Sir John Eliot Gardiner & The Monteverdi Choir, English National Ballet, Indian Dance Company Sujata Bannerjee, Ralph Fiennes, Alan Rickman, Mariel Hemingway, Peter Gabriel, Mariella Frostrup.